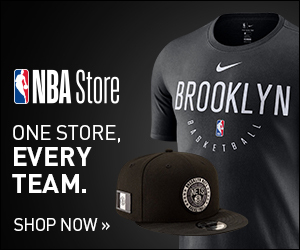 Brooklyn Nets: Is This The Year They Turn The Corner? 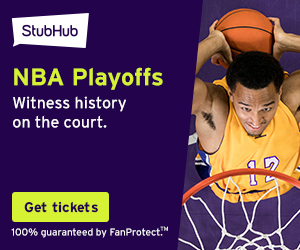 Home›Sports›NBA›Eastern Conference›Brooklyn Nets›Brooklyn Nets: Is This The Year They Turn The Corner? The last few seasons at the corner of Flatbush and Atlantic Avenue in Brooklyn haven’t exactly been something to write home about. The Brooklyn Nets were truly feeling the effects of the infamous Billy King trade with the Boston Celtics. However, the tide is turning. And with a more stable front office and players committed to getting better, this season may be the turning point this franchise desperately needs. There aren’t enough words to describe just how good of a job General Manager Sean Marks has done in this franchise rebuild. He has used the Nets cap space over the last two years to take on players with bad contracts such as Timofey Mozgov and DeMarre Carroll. The Nets made a lot of moves this offseason. The first big move was trading Mozgov and a 2nd round pick to the Charlotte Hornets for Dwight Howard. The Nets then bought out Howard’s contract clearing up more cap space. In a 3-team trade involving the Nuggets and Hawks, the Nets got Kenneth Faried, Darrell Arthur, draft rights to Isaia Cordinier, and multiple future draft picks all for Isaiah Whitehead, Jeremy Lin, and a 2025 draft pick. Marks then flipped Arthur for Jared Dudley and a 2021 draft pick from the Phoenix Suns. Aside from trading, Marks was also busy signing quality role players instead of trying to go for a big splash. In a sense, he was hitting singles instead of swinging for a home run. It started with the draft. The Nets went overseas with both their picks drafting Dzanan Musa and Rodions Kurucs. Both guys have length and can play on the wings and perimeter. The Nets signed Ed Davis and Shabazz Napier who had previously been with the Portland Trail Blazers. Joe Harris, a sharpshooter and overall sound player off the bench was resigned as well. The Nets have also signed players to keep around and grow in their organization. Players such as Theo Pinson, Mitchell Creek, and Alan Williams have all been signed to the team. They will most likely spend their time in the G-league this season. There is much to be excited about when looking at the young talent on the Nets roster. There is a lot of promise with many of the players on this team and it starts with D’Angelo Russell. The 6’5 guard from Ohio State only played in 48 games last season due to a knee injury. In those 48 games, he played just over 25 min per, averaged 15.5 ppg and 5.2 apg. Russell has the ability to completely take over on the offensive end. In a game last season against the Raptors, Russell hit 7 three-pointers in the 1 st quarter. His offseason workouts show he has not only been improving his game but also getting stronger. If Russell can pick up where he left off last season there is a good chance he could find himself among All-Star talks. Aside from Russell, there are a handful of young players looking to take that next step. Caris LeVert, Jarrett Allen, and Rondae Hollis-Jefferson are viewed as guys that are key pieces to this franchise’s plans. At Nets media day this week, many players praised LeVert for his skill set and potential. For Jarrett Allen hopefully, the power of the ‘Fro carries over to this season. The center out of Texas went from seeing minimal game action early in the season to being put in the starting lineup. His athletic build allowed him to soar through the lane for dunks and alley-oops. It also gives him the ability to block shots on the defensive end. Last season he led all rookies in blocks with 88. He wasn’t the best glass cleaner as his skinny frame may have had something to do with that. However, from reports and pictures from media day, it looks like he has been in the weight room a lot this offseason which should help him bang in the post better. Now, nobody is expecting the Brooklyn Nets to be a title contender this year or even next. But this season is crucial in seeing that the work over the last two years from the front office and coaching staff haven’t gone in vain. Last season, Kenny Atkinson and the team won 28 games. That was a 10 win increase from the previous season. The Nets could have easily been a 35-36 win team last season if you look at all the one possession losses or blown 4th quarter leads. That is what will be key to look at for this season. Can the Nets win those close games that come down to the wire? Can they withstand blowing a double-digit lead in the second half and find a way to pull off the W? With the talent that’s on the roster now, the Nets could surprise some people around the league. They may not be a playoff team but they have the ability to possibly be in the playoff talk. Maybe flirting with an 8 th seed. Their play this year will also be crucial in how potential big-name free agents view the team. That is why this year may be the most important for Marks, Atkinson and the franchise. Is this the year they get back on track to becoming a competitive franchise much like how they were in the early 2000s?